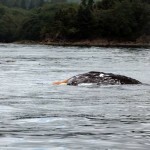 Whaling and whales are central to Makah culture. 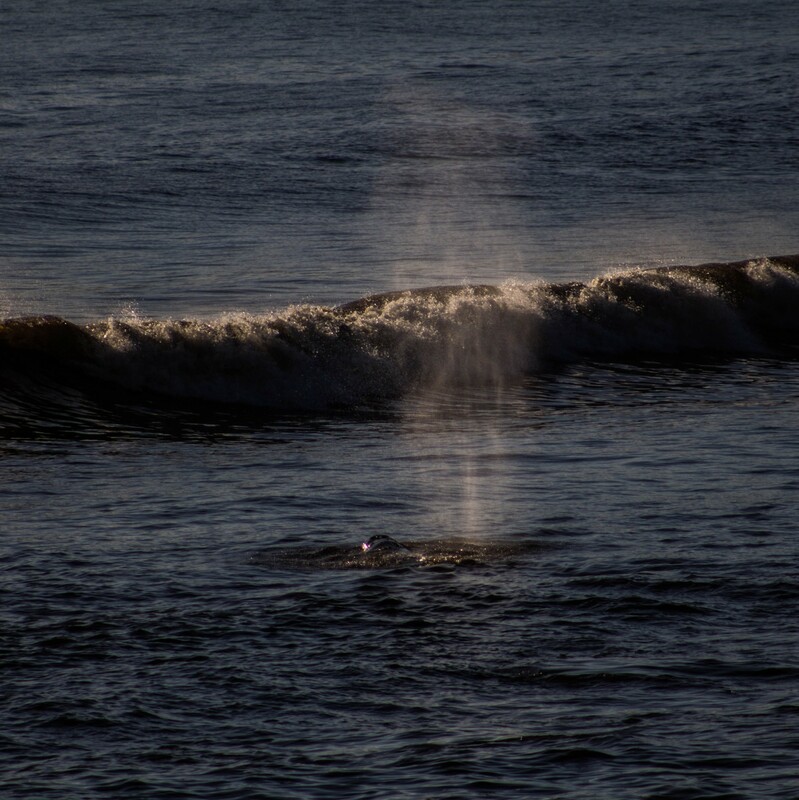 The event of a whale hunt requires rituals and ceremonies which are deeply spiritual. Makah whaling the subject and inspiration of Tribal songs, dances, designs, and basketry. 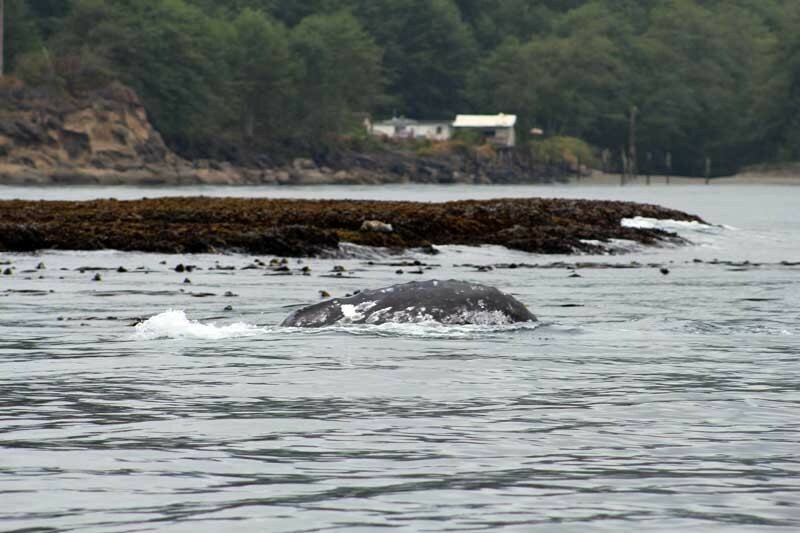 For the Makah Tribe, whale hunting provides a purpose and a discipline which benefits their entire community. 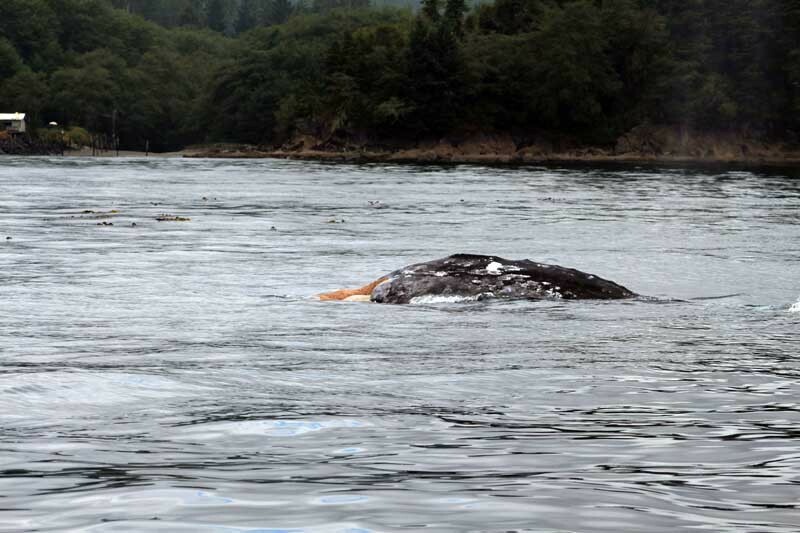 It is so important to the Makah, that in 1855 when the Makah ceded thousands of acres of land to the government of the United States, they explicitly reserved their right to whale within the Treaty of Neah Bay. Makah whaling tradition provides oil, meat, bone, sinew and gut for storage containers: useful products, though gained at a high cost in time and goods. 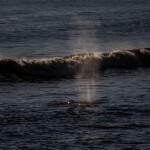 To get ready for the hunt, whalers went off by themselves to pray, fast and bathe ceremonially. Each man had his own place, followed his own ritual, and sought his own power. Weeks or months went into this special preparation beginning in winter and whalers devoted their whole lives to spiritual readiness. 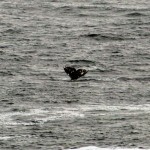 Men waited for favorable weather and ocean conditions and then paddled out, eight in a canoe. They timed their departure so that they would arrive on the whaling grounds at daybreak. Paddling silently, whalers studied the breathing pattern of their quarry. They knew from experience what to expect. 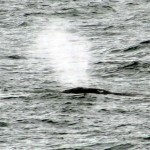 As the whale finished spouting and returned underwater, the leader of the hunt directed the crew to where it would next surface. There the men waited. When the whale rose, the paddlers held the canoe just to its left, their speed matched to that of the animal. As the back broke the surface, the harpooner struck and the crew instantly paddled backward, putting all possible distance between the canoe and the wounded prey so as to avoid the thrashing tail flukes. 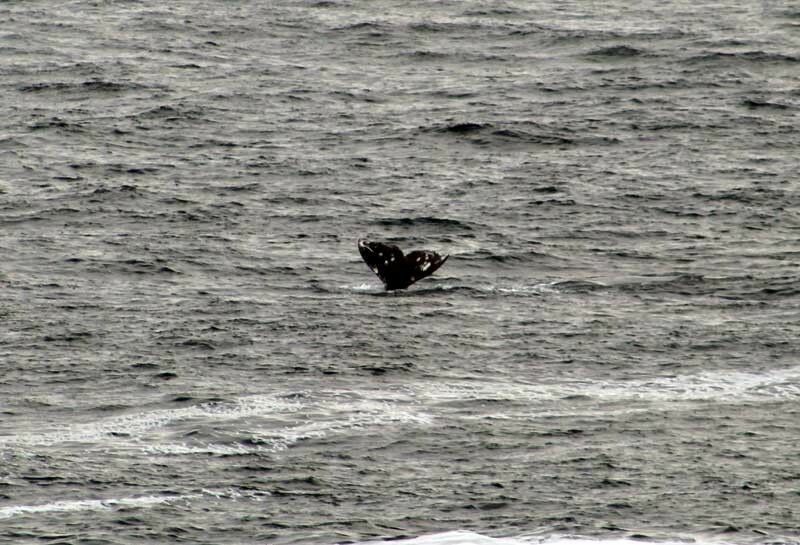 A hit in the shoulder blade interfered with use of the flippers and slowed the whale. Floats of sealskin blown up like huge balloons were attached to the harpoon line to slow down the whale. Harpoons weren’t intended to kill the whale, but to secure the sealskin floats to them until they tired themselves and could be fatally lanced. Shafts of yew wood measured 12 to 18 feet long. The heavy wood added to the harpooner’s thrust to help the blade pierce deeply. Splices in the shaft deadened the springiness to permit for further penetration. They also let the shaft break rather than hit the canoe repeatedly if the whale rolled. Additionally, they allowed for a clean break rather than splintering making them easy to repair. Shafts fell away once the harpoon head had been set. In a whale, the head of the harpoon turned partly sideways. Barbs of elk antler helped to keep it from pulling out. Each one made of mussel shell was placed on each side of the blade. Spruce pitch was used to smooth the head. This was confirmed when discoveries at Ozette revealed the pitch to be still pungent after 500 years within the earth. Whale sinew was plied into rope and bound with wild cherry bark to attach the harpoon head to as much as 40 fathoms of additional rope. This line, which consisted of twisted cedar boughs, was carried coiled within the baskets so that it would play out easily and wouldn’t entangle the canoe’s occupants. A telltale float at the end of the line acted as a marker so that the whalers could follow their prey, setting additional harpoons and staying out overnight if it was merited. Eventually the time came for the final kill which was done using a specialized lance. The next step was to tow the whale home. Hopefully, the distance would only be a few miles if its spirit had heeded prayers to swim for the beach. If not, the distance could be up to 10 miles or more. To prevent the whale from sinking, a diver would lace the mouth shut. This kept water from flooding into the stomach, weighing the carcass down and complicating the tow. 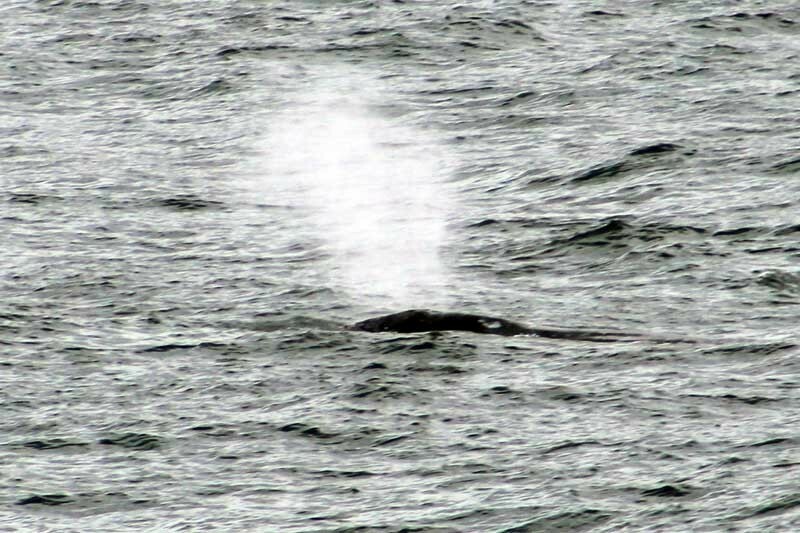 Songs eased the paddling and welcomed the whale to the village. The songs welcomed the returning hunters and praised the power that made it all possible. 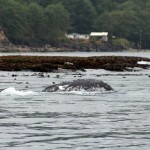 The relationship between Makah and whales is very old. Ozette deposits dating from 2,000 years ago hold humpback and gray whale bones and barbs from harpoons. The relationship is also very recent. The Makah Tribe resumed whale hunting under international and domestic law, and on May 17, 1999 to harvest their first whale in 70 years.